1. Chicago (42-13) – Even without Rose they have the best record in the league. 2. Oklahoma City (40-13) – The “Durantula” had 26 points and 10 rebounds in a blowout win over a Chicago team that they could see in the NBA Finals. Durant had 26 points in a potential finals match up. 3. Miami (38-14) – Bosh and Wade combined for 60 points as they demolished the Raptors. 4. San Antonio (37-14) – The Tim Duncan of old showed up for the Spurs the other night, scoring 23 points and 11 rebounds. 5. LA Lakers (33-20) – The Warriors were latest victim as Kobe puts 40 on them in a blowout win. Golden State got sick of this guy real quick the other night. 6. Indiana (32-21) – Danny Granger’s 32 points and 7 rebounds help lead them over Houston and continue to impress in the east. 7. LA Clippers (32-21) – Randy Foye picked a good game to score 28 points and 3 rebounds as they blew out Dallas. 8. Orlando (32-22) – “Big Baby” Glen Davis dropped a double-double with 18 points and 16 rebounds in a close loss to Denver. 9. 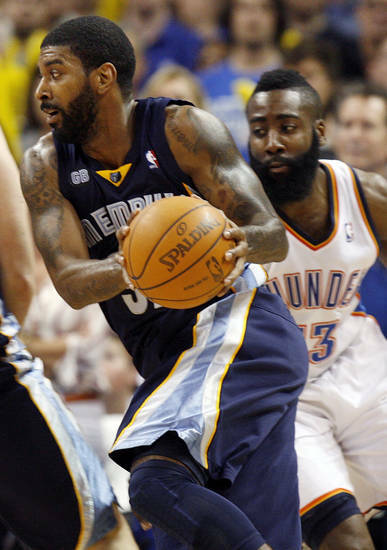 Memphis (30-22) – OJ Mayo’s 22 points off the bench led the Grizzlies to a huge win over the Thunder. Mayo's 22 points off the bench led Memphis to a win over Oklahoma City. 10. Dallas (30-24) – Shawn Marion had a nice performance with 15 points, 9 rebounds and 4 assists in a big win over Orlando. 11. Boston (28-22) – Brandon Bass has stepped up his offensive game in the absence of Ray Allen. 12. Atlanta (31-23) – Joe Johnson scored 28 and 6 rebounds in a big win over New York. 13. Philadelphia (29-24) – Evan Turner has found his way into the starting lineup and is paying dividends. Since entering the starting lineup Turner has stepped up his game. 14. Utah (27-24) – Paul Millsap and Al Jefferson were a headache for the Nets big men, scoring 43 points and 21 rebounds in a win over New Jersey. 15. Houston (27-24) – Luis Scola has become the go to guy for the Rockets, scoring 18 points and 14 rebounds in a win over the Kings. 16. Denver (27-24) – Kenneth Faried or the Manimal has become quite the inside presence for the Nuggets. 17. New York (26-25) – With Stoudemire and Lin out, Carmelo drops 25, 6 assists and 5 rebounds in a big win over Orlando. 18. Minnesota (25-27) – Kevin Love drops another monster game with 40 points and 19 rebounds against Charlotte. Love is arguably the best power forward in the NBA. 19. Phoenix (25-26) – Marcin Gortat continues to be an inside force for the Suns, scoring 21 points and 14 rebounds in a close loss to the Spurs. 20. Portland (23-27) – Raymond Felton has become a better player under interim coach Kaleb Canales, scoring 24 points and 7 assists in a win over Golden State. 21. Milwaukee (23-27) – The back court of Monta Ellis and Brandon Jennings combined for 51 points and 14 assists in a win over Atlanta. 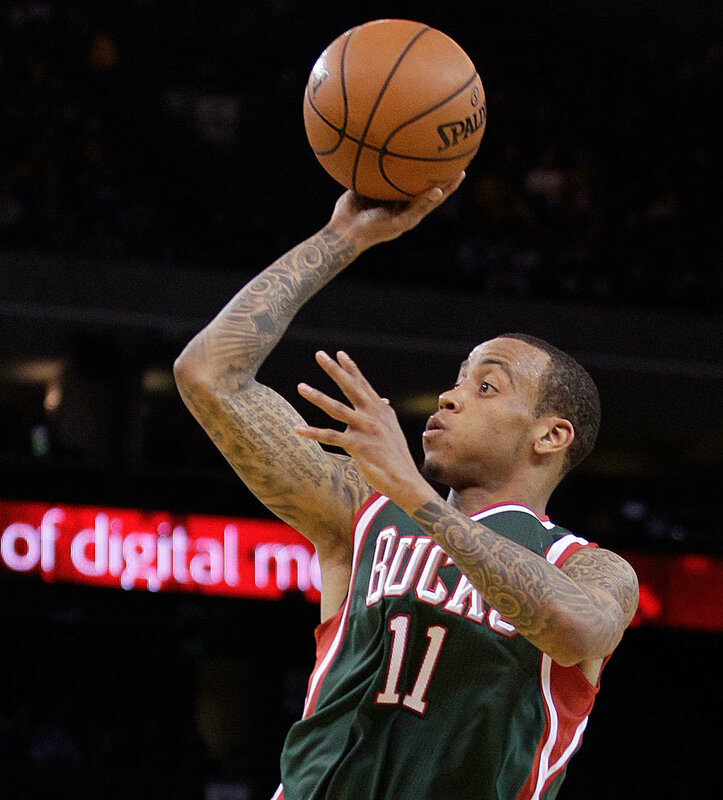 Monta Ellis gives Milwaukee another scoring option in their back court. 22. Golden State (20-29) – David Lee is the go to guy in the Warrior offense with Curry hurt and Ellis gone. 23. Detroit (18-32) – Tayshaun Prince has found the fountain of youth over the past week with an 18 and 29 point performance. 24. Cleveland (17-31) – Kyrie Irving has wrapped up the Rookie of the Year award. Irving is a lock for Rookie of the Year. 25. Sacramento (17-32) – DeMarcus Cousins with a monstrous 28 points and 18 rebounds in a loss to the Warriors. 26. Toronto (17-34) – It has been a disappointing season for the Raptors with Bargnani and Calderon banged up all year. 27. New Jersey (16-35) – Gerald Wallace was a very nice addition for them. 28. New Orleans (12-37) – Jarrett Jack has had a solid season replacing Chris Paul, scoring 27 in a close loss to the Spurs. Jarrett Jack has been a pleasant surprise for the Hornets. 29. Washington (11-38) – Nene was a nice pickup for the Wiz giving Wall an inside presence. 30. Charlotte (7-40) – It has been a long year for MJ and Paul Silas. This entry was posted in NBA and tagged Al Jefferson, Amare Stoudemire, Andrea Bargnani, Atlanta, Boston, Brandon Bass, Brandon Jennings, Carmelo Anthony, Charlotte, Chicago, Chris Bosh, Chris Paul, Cleveland, Dallas, Danny Granger, David Lee, DeMarcus Cousins, Denver, Derrick Rose, Detroit, Dwayne Wade, Evan Turner, Gerald Wallace, Glen Davis, Golden State, Houston, Indiana, Jarrett Jack, Jeremy Lin, Joe Johnson, John Wall, Jose Calderon, Kaleb Canales, Kenneth Faried, Kevin Durant, Kevin Love, Kobe Bryant, Kyrie Irving, LA Clippers, LA Lakers, Luis Scola, Marcin Gortat, Memphis, Miami, Michael Jordan, Milwaukee, Minnesota, Monta Ellis, Nene, New Jersey, New Orleans, New York, OJ Mayo, Oklahoma City, Orlando, Paul Millsap, Paul Silas, Philadelphia, Phoenix, Portland, Randy Foye, Raymond Felton, Sacramento, San Antonio, Shawn Marion, Tayshaun Prince, Tim Duncan, Toronto, Utah, Washington. Bookmark the permalink. 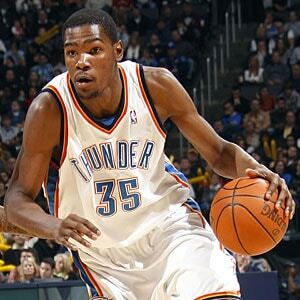 OKC will dominate basketball for years to come. Can’t wait to see how good they are in 5 years!